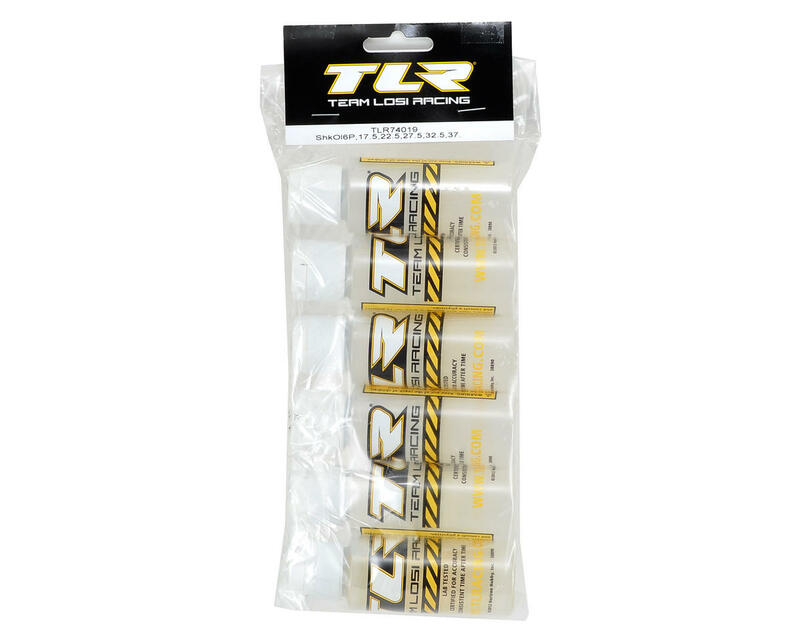 This is a six pack of 2oz bottles of Team Losi Racing silicone shock oil used with oil filled shocks. This six pack includes the half oil weights in the Losi shock oil family, and includes a bottle each of 17.5wt, 22.5wt, 27.5wt, 32.5wt, 37.5wt and 42.5wt oils. Losi shock oil is made from 100% pure silicone oil and will not thin out in hot weather or thicken up in cold weather. The higher the weight number of the oil, the thicker the oil is. Losi shock oil is generally slightly thicker than Team Associated shock oil with the same 'weight' rating.